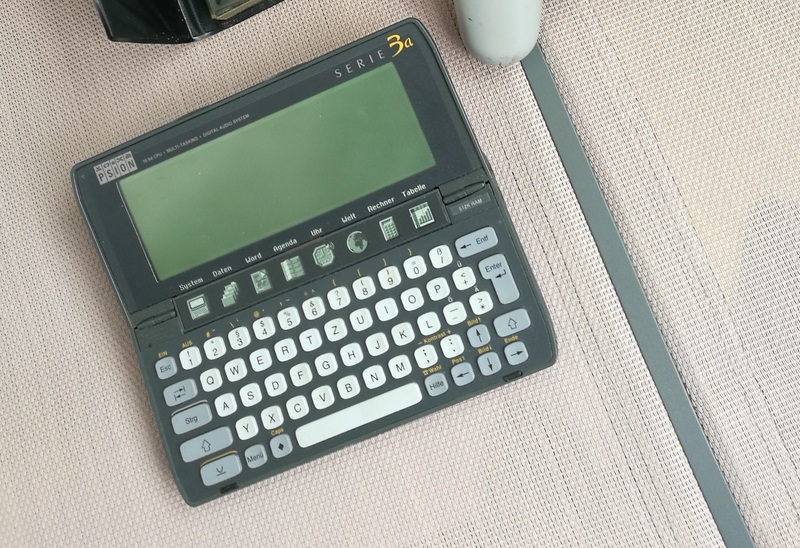 The Psion 3a (1993) is part of a range of personal digital assistants made by PSION PLC. Manufacture of Psion 3a was discontinued in 1998 with the 3s version shortly after the launch of the Psion Series 5 (a Psion 4 does not exist, due to Psion’s concern of tetraphobia in their Asian markets) and the Psion Siena. Psion’s industrial hardware division continue to produce handhelds running the same 16-bit operating system, some 17 years after its introduction on the Psion MC range of laptops and 5 years after Psion Computer’s final 32-bit EPOC PDA was released.